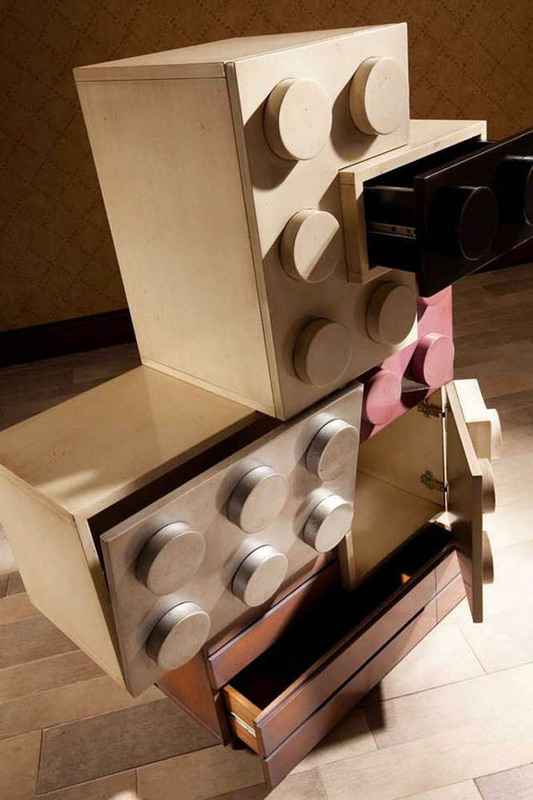 LEGO as an universal toy loved by most of kids. 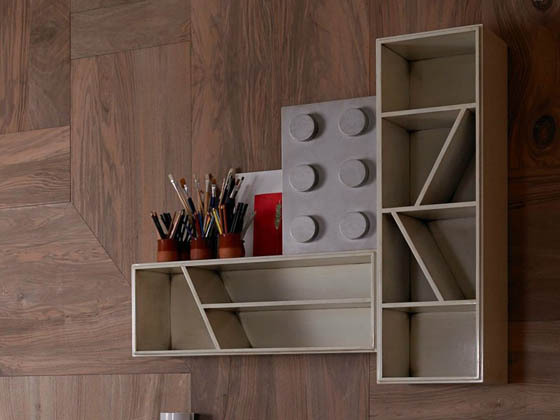 There are lots of LEGO inspired products on the market and today we will introduce you a new member – LEGO block inspired kids furniture by Spanish furniture design and manufacturing company Lola Glamour. 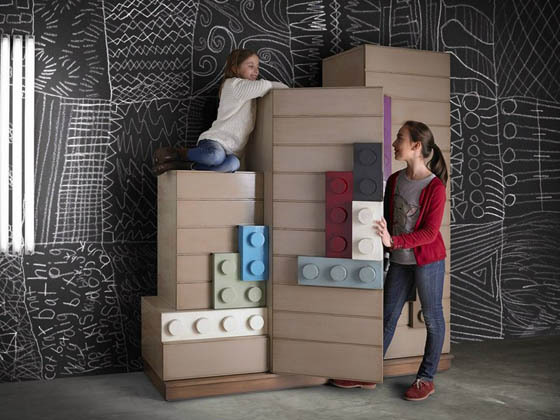 The handmade LEGO Furniture Collection for Kids employs the visual power of beloved LEGO bricks into contemporary furniture design for children’s rooms. 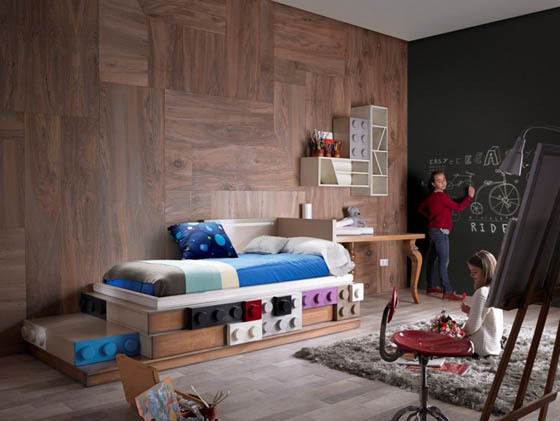 These storage for kids use well-known patterns to create a landscape of decorative elements. 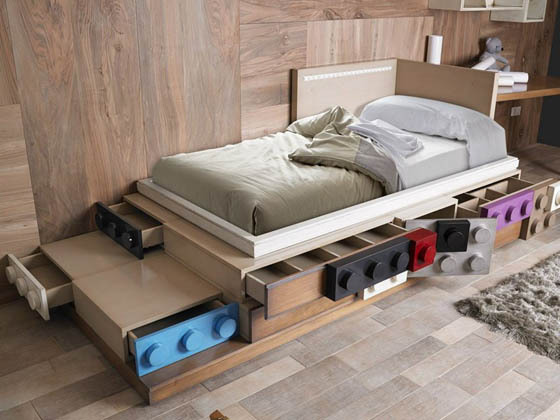 Currently, there are cabinet, over desk shelf and bed available for this collection.